Put your little pepper plants outside about 3 weeks after the last frost date. 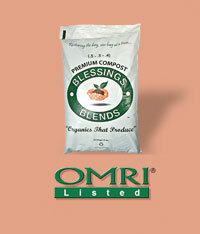 Dig your soil thoroughly, and apply Blessings Blends OMRI-Listed Premium Compost (.5 – .5 – .4) to feed your peppers. Lime can also add the extra calcium your plants will need and prevent blossom rot (see below). The holes should be deep enough to accommodate the roots of the seedlings, but don’t plant any deeper. The stem shouldn’t be covered. You’ll only need about 8 to 10 inches between your plants since they don’t grow all that large. 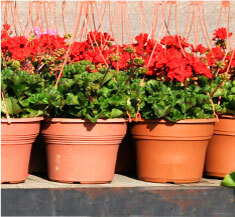 When you select a location for your plants, they will need full sun and protection from the winds. Near a wall is ideal as long as it doesn’t actually shade the plants. As peppers change from green to yellow, orange, or red, both their flavor and their vitamin content improves dramatically. People who think they don’t like peppers often change their minds once they have tasted fully ripened, garden-grown peppers.